CCP Games has released ‘Onslaught’, the newest expansion to EVE Online, the deep and uniquely player-driven spaceship MMO game. 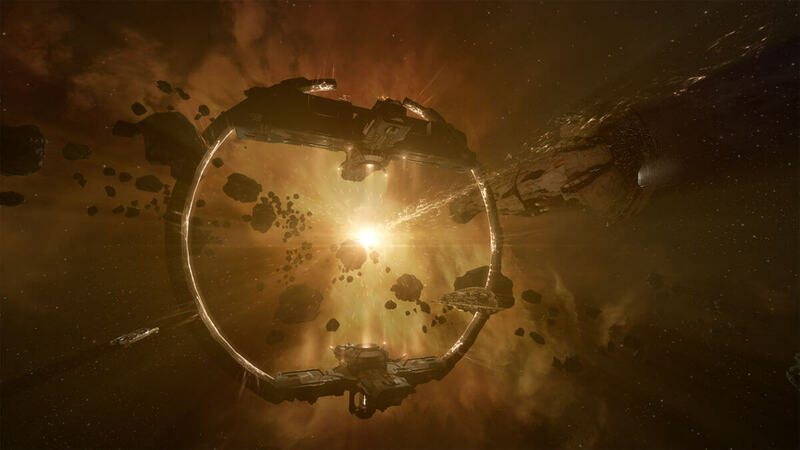 A free update, EVE Online: Onslaught invites players of all experience levels to explore the dangerous and isolated Abyssal Deadspace together in cooperative play. This high-risk, high-reward gameplay offers new weapons and technologies to obtain, including blueprints for two powerful and exotic ships. 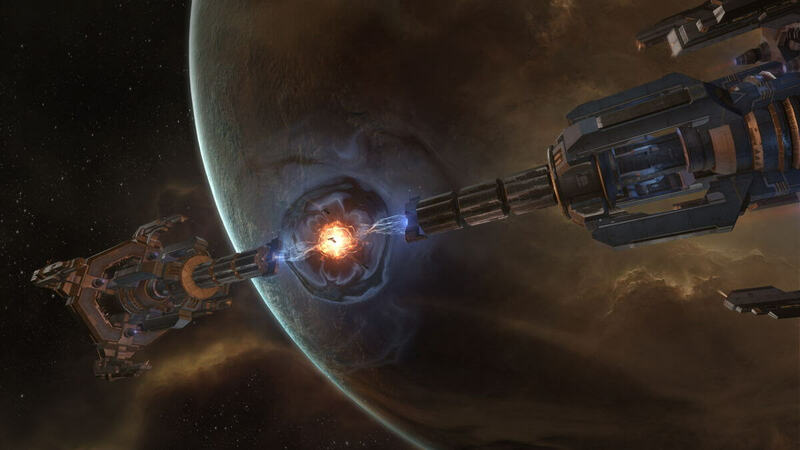 The expansion also adds new Upwell navigation structures, allowing players to jump between two points in space and forge their own faster-than-light travel networks. In addition, EVE Online: Onslaught introduces the highly-anticipated Activity Tracker, transforming the way all players are able to navigate their personal journey within EVE’s persistent, living universe. The new version of Abyssal Deadspace now allows for co-operative PvE gameplay, with players able to bring two other pilots into the fray. Players can choose from any combination of three frigates to fight new hostile NPCs, scavenge materials and earn valuable rewards together. 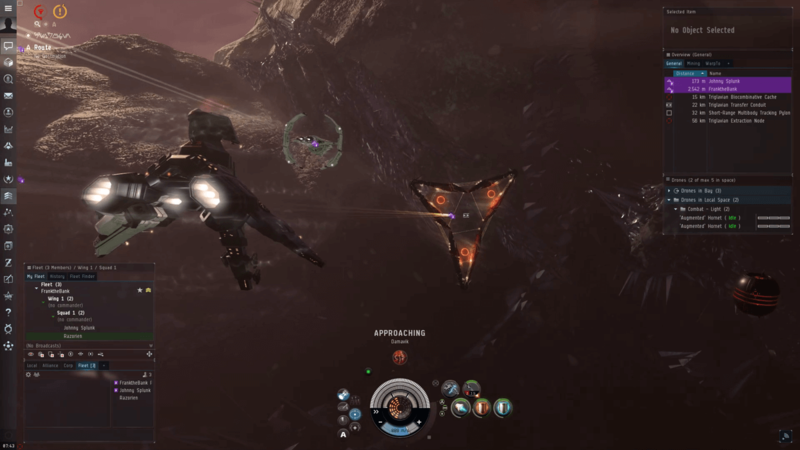 Difficulty tiers have been adjusted to accommodate the increase in players within the Abyss, but pilots will still need to avoid venturing away from stable pockets of space for too long or risk being destroyed. Pilots who make it to the end of their journeys may now come across an optional gate they can enter to fight in arena-style 1v1 PvP combat against others who have achieved the same feat. Players will have to risk everything to survive these encounters - only the victors will return intact, having plundered their opponent’s haul. For both cooperative and solo experiences, two new Triglavian ships can also be built from blueprints found in the Abyss and are the first of their kind for their respective classes - the Kikimora, a Triglavian Destroyer with enormous bonuses to range for its weapon systems and the Drekavac, a Triglavian Battlecruiser designed for deadly close-range brawling tactics. Two further ships will be available next month - the Rodiva Support Cruiser and the Zarmazd, a Triglaivan Logistics Cruiser that will remotely buff the armor of other vessels. EVE Online: Onslaught also features the fully-comprehensive Activity Tracker, available to all players, enabling them to fine tune who they want to be in New Eden and view the various diversification and specialisation options open to them. New Upwell Navigation Structures are also available, replacing Jump Bridges, allowing ships to travel between two points in space that are less than five light-years apart, creating a multitude of strategic uses for player organisations seeking territorial control. For more information about EVE Online: Onslaught, including the new Abyssal Deadspace 2.0, the Activity Tracker, Upwell Navigation Structures and other enhancements, visit updates.eveonline.com. EVE Online can be downloaded for free by visiting www.eveonline.com/download.